The Saint 2 & The Persuaders Series 1 CASE of 16 Boxes DEAL Shipping October 30th, for a one time release starring the late Tony Curtis & Sir Roger Moore. 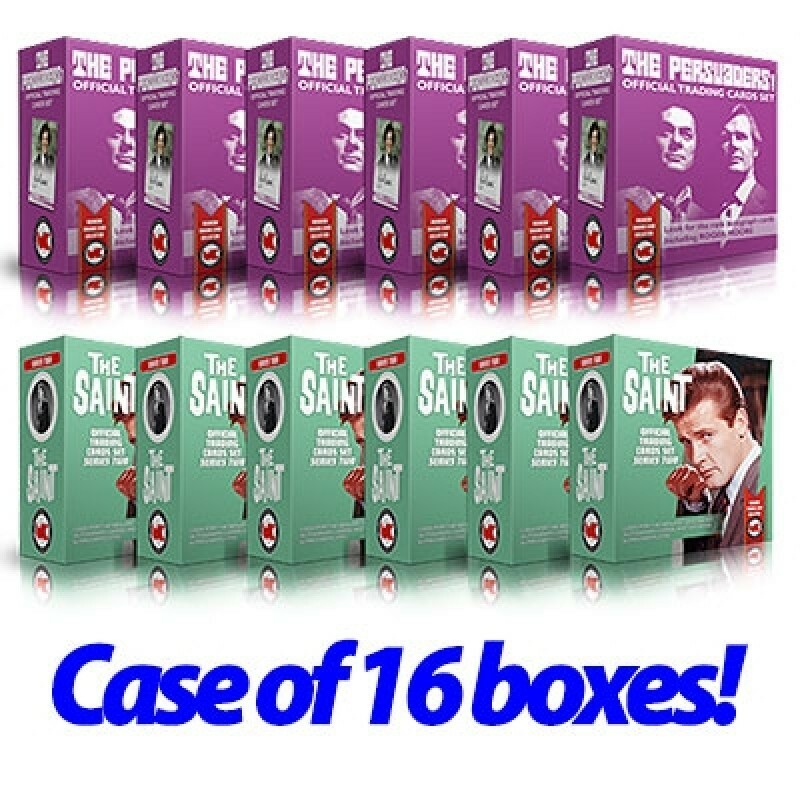 A 16 BOX CASE consists of 8 boxes of The Saint 2 PLUS 8 Boxes of The Persuaders 1 PLUS DEALER BONUS PACK! We were very pleased to work with Sir Roger Moore prior to his passing and his genuine autograph cards are randomly inserted into this release, packed 1 in 8 boxes, or guaranteed 1 per case! There are TWO hot hits per box, either two autograph cards, or one autograph card and one sketch card, plus a complete 36 card collectors set. A worldwide limited edition of only 1,200 numbered boxes, never to be reprinted.